Date Wise 20-10-2018 and Teacher Study Material Subject wise Notes Lecture Notes Sanskrit, Hindi, English, SST, Economics, psychology notes, Teaching Method, GK, Math, Urdu, Punjabi, Science subjects Physics, Chemistry, Zoology, Botany, Micro-Biology, Bio-Technology, and Bio-Chemistry. History, Geography, Economics, Political Science, Sociology, Social Science Indian History. Question(1) Who was the re-implementing emperor of Jizya. जजिया कर को पुनः लागू करने वाला सम्राट कौन था ? Question(2) Who was the founder of the Lodi dynasty? लोदी वंश का संस्थापक कौन था ? Question(3) Who was the first and last Hindu person to adopt the Dina-e-Elahi religion? दीन-ए-इलाही धर्म को अपनाने वाला प्रथम एवं अंतिम हिंदू व्यक्ति कौन था ? Question(4) Who moved from Delhi to the capital from Lahore? लाहौर से राजधानी को स्थानांतरित करके दिल्ली कौन लेकर गया था ? Question(5) Who built the well and the canal for irrigation? सिंचाई के लिए कुएं एवंम् नहर का निर्माण किसने करवाया था ? 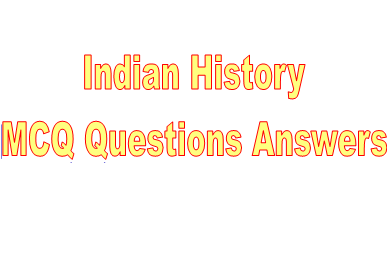 Question(6) Who was the last Peshwa to attack Delhi? दिल्ली पर आक्रमण करने वाला अंतिम पेशवा कौन था ? Question(7) When did Sher Shah Suri die? शेरशाह सूरी की मृत्यु कब हुई थी ? Question(8) When was Chausa’s war between and when? चौसा का युद्ध कब व किस-किस के बीच हुआ था ? Question(9) Who was the first Muslim to tax Jizya on Brahmins? ब्राह्मणों पर जजिया कर लगाने वाला पहला मुसलमान कौन था ? Question(10) Who had restored Pataliputra with the name of Patna and when? पाटलिपुत्र को पटना के नाम से पुनः स्थापित किसने व कब किया था ?